When the gardening’s done, sit down and relax. Sure to bring a modern feel to your garden, the Catania extending dining table seats between 6 and 12 people. So, it’s perfect for entertaining, no matter how many unexpected guests turn up. 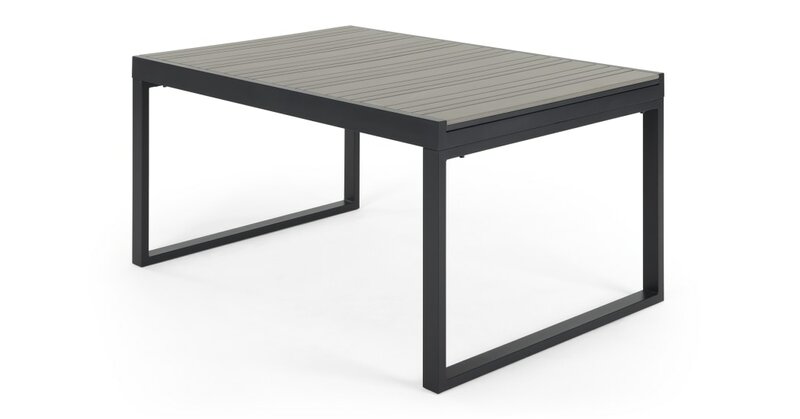 Designed with clean lines and a sophisticated colour palette, this minimalist table is fitted with panels of different sizes for an eye-catching effect. It will only enhance the greenery and blooms you’ve got going. Catania is a considered design that’s perfect for enjoying those warm summer nights. It's built to endure the weather too - just remember to cover it or take it inside during heavy rain.